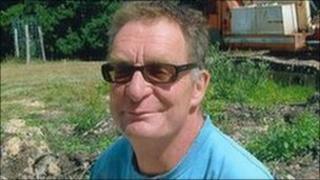 The ninth person arrested over the death of a Sussex businessman has been released on bail. Julian Gardner, 53, died from multiple injuries in October after apparently disturbing intruders in outbuildings at Bush Barn Farm, near Robertsbridge. A 29-year-old man, from Cranbrook in Kent, was arrested after attending an Eastbourne custody centre on Wednesday. Police said he claimed to be the person shown on CCTV footage broadcast in an appeal on the BBC Crimewatch programme. A force spokesman said the man had been released on bail until 28 January. Det Ch Insp Adam Hibbert, of Sussex Police, said the response to the appeal had been "heartening". He said: "We received about 40 calls during the show, which prompted a man we were seeking to come forward. "The information has continued to flow in since the show via a large number of texts and e-mails." Eight people have now been arrested after the discovery of the businessman's body on 11 October. A post-mortem examination found he suffered compression-type injuries, possibly caused when he was crushed between two vehicles. Police have already arrested and bailed seven men, six from Kent and one from north Wales, and a woman from Kent. A £10,000 reward has been offered by police for information leading to the arrest and conviction of those responsible.